I received some sad news today as I was going through airport security. I had heard a week a go that Frankie had gone into the hospital, Last night Kyle had told me that Frankie had was not doing well and the doctor had given him less than 24 hours. This isn't happening, I was in total denial. I prayed last night him and his continued comfort. As soon as I saw Cindy's phone number show up (she lives in Denver), I knew it couldn't be good news and the truth was spoken when I heard her voice and the sob she tried to stiffle. Frankie had passed this morning around 7:00 a.m. EST. He went into a coma last night and never came out. It was so hard not to start sobbing right there in the boarding area. A steady stream of quiet tears poured out of me and I tried to control it as much as possible. After I got off the phone with her, I called Kyle then Mariah to inform them. It was the same sadness in our hearts that we shared. Frankie, to me, was such an inspiration. When I first got into swing dancing I was heavily overweight, less than confident and unmotivated after going through a divorce. At Camp Catalina, I met this spry, energetic, smiling 86-year. I went to my first Frankie Shim Sham and Big Apple class. He just.. wanted us to dance and with free abandon and open hearts. I remember sitting through one of Frankie's storytime when he spoke of his first experiences at the Savoy in New York. Throughout the years I looked forward to seeing him and different venues. 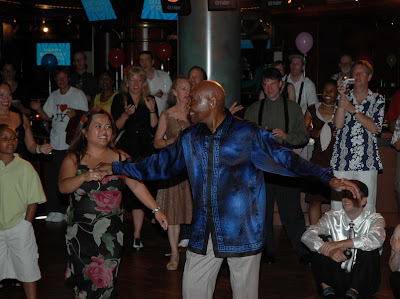 He was beautiful person and am so priviledge to have danced with this man. Goodbye Frankie and until we dance again, look out over us.